The Lark Creek Tavern in Larkspur California makes a fantabulous version of butterscotch pudding that has been a house favorite. It does contain a decent quantity of scotch whisky in the recipe. 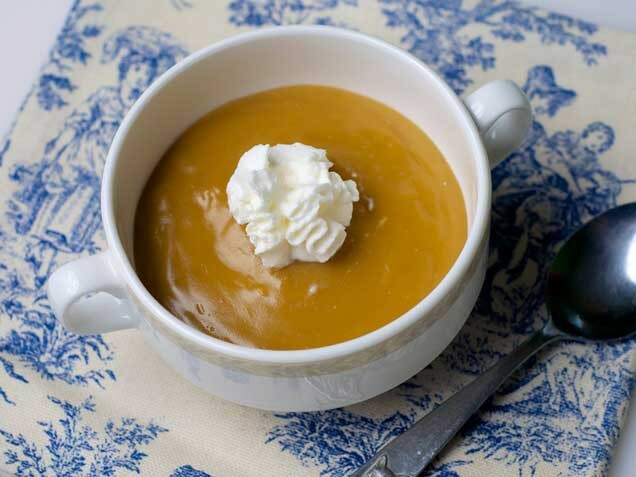 Could I have one for my dinner … tonight – just love butterscotch- especially warm on vanilla ice cream.